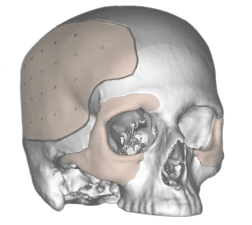 Our mission at Kelyniam is to apply 3D printing and rapid prototyping technology to create innovative medical products that improve the lives of physicians and their patients. 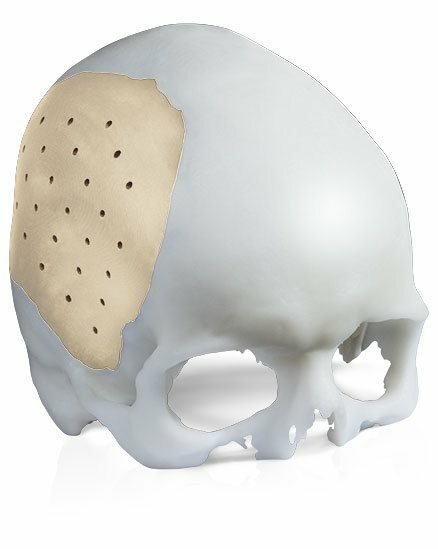 We are the leader in providing overnight service for the delivery of custom cranial and craniofacial implants. 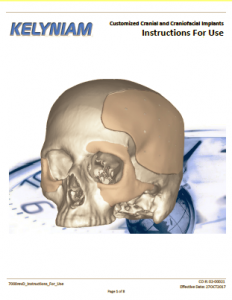 If we receive your approved CT scan by 11:00 am, delivery can be within 24 hrs. 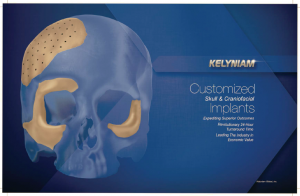 Kelyniam engineers and craftsmen design and manufacture each custom implant to fit perfectly for the best cosmetic outcome, every time. We treat our sales representatives the way we would want to be treated, with generous commissions, fast and friendly responsiveness and the least amount of paperwork. 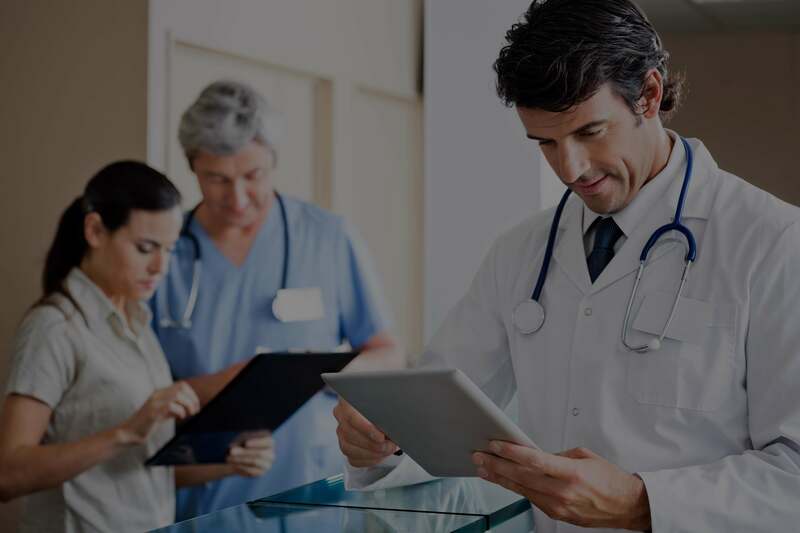 Our vision at Kelyniam Global Inc. is to foster a culture of trust and respect throughout our organization and with our customers (hospitals, sales representative, and surgeons and their patients) that will result in collaborative relationships that solve medical problems. Awesome. Thanks for such a quick turnaround! Thanks for everything. Dr. Gordon was super pleased Kelyniam was able to come through in the clutch. Patient looks great btw.